Apple just have released quite cost intensive flat macs, without fans. That means they don’t get fans? No, it means – the put in a dual core processor that is almost optimized for mobile use at 5W of power – but it is running at 1.1, 1.2 or 1.3 GHz and can boost up to 2.4, 2.6 or 2.9 – depends on what you dare to add to the not so low price of more than 1400€. force touch pad as well as the 13″ Retina Macbook Pro, but the 15″ has no changes, the Air is also going up to the last generation of processors (still with dual core processor types only – but in this case I’d not expect those – in the Pro-Camp the 13″ should be a 4core model – at least one of those – but there isn’t one, still) . Ok, the MacBook Pros have not been redesigned so expect „more“ later since it was only time of „speed bumping“ and the Air SSD beefup was necessary since the most recent ones weren’t too fast compared to their predecessors. there is no more unibody 13″ from the „put a normal hard drive in“-kind of series that had optical drives! 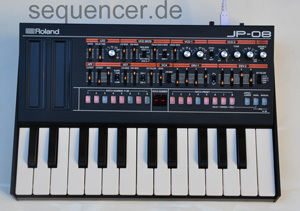 which was a nice entry level computer for musicians at an „ok“ price. the new MacBooks only got 2 connectors: Audio out and USB C – so this is not made for external audio interfacing, adding stuff – you CAN buy an extra expensive 89€ adapter to work with HDMI or VCA for external monitor or audio via USB only and it will be the same port for loading it, so – this is nice to have it with you, coding, doing things – but it isn’t perfect for connecting stuff for that reason. So this is more the mobile bureau-kind of machine like the air was (with 2 USB connectors – still more than the new MacBook). so you need hubs and reduced your stuff. there is no fan noise inside but possibly outside at your gig – it’s about half the power of a normal 13″ MacBookPro but it may last quite long for travel and stuff. so it is – as Apple are – a book made for the masses, not primarily for musicians. having midi via bluetooth and audio via USB might work, add a keyboard and a controller might be everything that will work and.. not sure how to keep it at work for longer since power is still USB as well since it’s the only one you have in here! so if you don’t need „mobility“ and „thin“ and „light“ as your first thing, go for a Mac Book Pro ,still.. and if you want a lot of plugins, you need the 15″ because you only get quad core with a 15″ MBP and you still do not get large hard drives – you only get SSDs starting from 256GB which isn’t much so .. Using a Mac won’t be totally affordable or – you need to live with dual core which is „ok“ for being on the road but the iMac 4core might be the better machine for you if you don’t need the mobiles aspect that often. Mac Pros are too expensive to think about it so ..
SSDs are small, so you might need to go the not so smart path and get the smaller one and add an external HD or so – work on the internal SSD for processing and stuff but you need to move the project after working with it! btw – there has been talk about that watch thing, but isn’t so relevant to musicians, so – it’s not posted here – and iOS 8.2 is up now which contains not so relevant stuff like health app-stuff for iPad and iPhones – so no1 is in a hurry now, huh? Die neuen MacBooks – sind die für Musiker gemacht? Eigentlich nicht, die bieten nur einen USB C Anschluss über den alles inkl. der Stromversorgung angeschlossen werden muss, dh. für Audiointerface und Controller/Keyboard wird es schon eng, man braucht einen USB-Hub und irgendwie muss man noch Strom in das Gerät bringen, dazu ist es natürlich nicht schneller als ein „Air“, es ist eher für Leute gemacht die sehr sehr mobil sein wollen. Es ist sehr leicht und als mobiles Büro perfekt und für Solarstrombetrieb sicher super, da es auch nicht mal einen Lüfter braucht und der Prozessor nur 5 Watt verbrät. Das Netzteil hat 29 W, damit kann man dieses Teil sicher als sehr effektiv bezeichnen und ist genau für diese Zweck optimiert, nicht aber für mehr Power. Es ist in etwa mit einem Macbook Air zu vergleichen, es hat natürlich auch „nur 2 Kerne“, wer Leistung will muss sich ein 15″ Macbook Pro holen, denn auch das 13″ Macbook Pro hat nur Dual-Core Optionen zu bieten. Das bekommt das wirklich interessante Druck-Sensor Multitouch-Pad vom neuen Macbook aber ab jetzt auch verpasst, beim Air gibts dazu auch schnellere SSDs und Thunderbolt 2, was ja auch nie ein „Audio-Mensch“ Book ist, sondern eben eher für „Hauptsache leicht“ – User, die das Teil wirklich immer dabei haben. Fazit wäre also – Nur wer total mobil lange und mit wenig Nachladen auskommen muss und nicht primär große Anforderungen hat sollte sich das Teil ansehen, denn es fordert einige Kompromisse. Es ist außerdem alles andere als günstig. die SSD ist 256GB klein bei 1450€, bei 1800€ gibts 512GB – beide haben 8GB RAM und reichen dann auf 2.4 bzw 2.6 GHz im Boost Mode, für mehr muss man extra Geld hinlegen, um 1.3 vs. 2.9 GHz Boost zu bekommen. Wer eher aufnimmt kann mit 2Kern leben, wer viel Softwarepower braucht, ist eh mit dem 15″ MBPro viel besser bedient, denn unter dem gibt es keine 4Kern-Prozessoren – und eben auch vernünftige Schnittstellen. Das ist eben der Unterschied zu „Pro“. Für Geeks ist das hier allerdings ein sehr cooles Ding, was man wirklich immer dabei haben kann, es ist noch recht kompakt und klein und hält lange mit den Batterien – das ist sehr gut optimiert. Aber es ist eben kein Schnittstellenmonster. 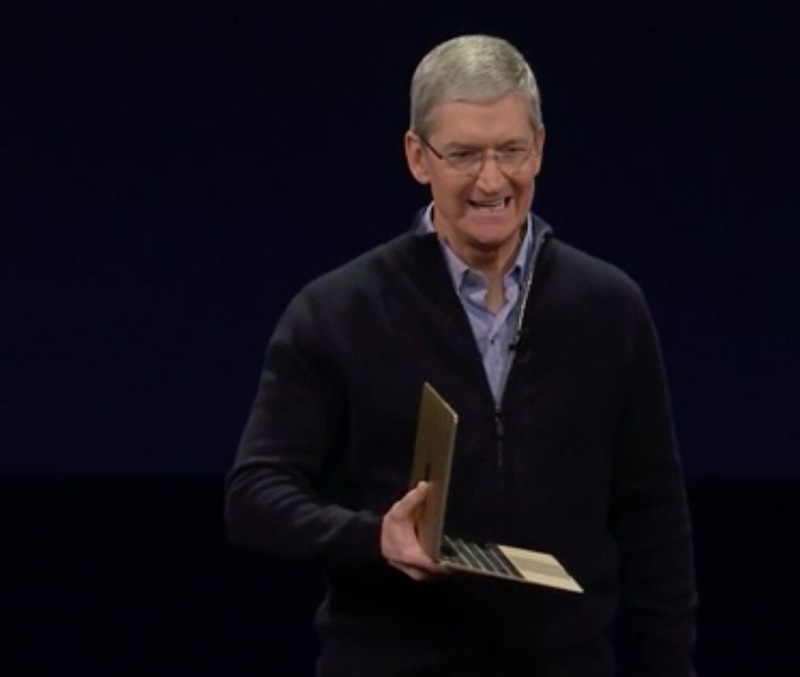 Ein iPad als Macbook – quasi. Schon ok für „das meiste“ aber man braucht teure Adapter für externe Monitore (89€ auf HDMI oder VGA). Apple bleibt Apple. Cool ist das Ding , technisch , durchaus. Aber als Musiker sollte man eher 2x nachdenken. Aber das neue Druck-Touch-Pad ist toll, denn man kann per Druckstärke Dinge auslösen, so wäre spulen und zoomen per Druck eine feine Sache für Positionsfindung in Logic oder ähnliches, langfristig gesehen – da das im 13″ MBP und dem 12″ MB verbaut ist, kann man hoffen es gibt das vielleicht bald extern auch und im 15″ vielleicht im nächsten Durchgang. Ob das Air noch länger gebaut wird ist unklar, denn es ist das einzige Gerät ohne Retina-Screen und macht nur Sinn beim Thema Preis – es hat immerhin noch 2 USB Anschlüsse, aber ist sicher auch nicht die erste Wahl für Musiker genau deshalb – aber besser als das Macbook nur mit USB C ist es schon. Es gibt noch nicht all zu viel USB 3 – Audio-Zeugs – Air und Macbook sind natürlich keine Desktop-Ersatz-Geräte, dafür sind sie bewusst zu spartanisch. Deshalb wird der Musiker vielleicht über einen iMac mit 4Kern Prozessor und i7 als Hauptrechner oder dem 15″ 4Kerner Treue schwören, wenn es um viele Plugins und Softwarekraft geht, wer sparen muss wird dann mit 2-Kernen leben und vermutlich auch bei der SSD eine weniger elegante externe Lösung suchen, weil Apple für eine 512GB SSD einfach zu viel verlangt. Zurück Martin Gore MG, Autechre new EP..